CHICAGO (CNS) — Archbishop Blase J. Cupich of Chicago welcomed the release of Pope Francis’ apostolic exhortation “Amoris Laetitia” (“The Joy of Love”), saying the document might be surprising to some for its insistence on the need for mercy and compassion and its emphasis on the role of conscience. The document is the pope’s reflection on the 2014 and 2015 meetings of the Synod of Bishops on the family, which addressed all aspects of family life and included contentious discussions about under what circumstances divorced and remarried Catholics could receive Communion. It does not offer any new rules or norms. Rather, Pope Francis urges careful reflection on ministry to families and, especially, greater consideration in the language and attitude used when working with those who do not fully live church teaching. “I think that by and large, the average Catholic is going to find that what the pope is saying here is very arresting and new and creative and imaginative,” Archbishop Cupich said at a news conference April 8, the day the document was released at the Vatican. “He is saying things they haven’t heard before with regard to the church. For instance, individuals in shaping their conscience take responsibility and nobody can come in and in some way try to replace that conscience. “He talks about the need for families to be tolerant with each other in situations where people’s lives are not perfect so that we don’t separate ourselves and judge. … This is not about a reform of rules. This is about a reform of church,” the archbishop added. Archbishop Cupich said that he intends to study the document with lay and ordained advisers, and the Chicago Archdiocese will look at the ways it ministers to families, perhaps by extending marriage preparation into the first year of marriage or finding new ways to support parents as they welcome children. Whatever the church does must be done with mercy, he said. “The doctrine of the church has always been one of mercy and compassion and the pope is recovering that in a much stronger and forceful way. It is a part of the doctrine of the church to reach out with compassion to people,” he said. The archbishop acknowledged that some might rather have a clear set of rules to follow, something Pope Francis addressed as well. Archbishop Cupich rejected the idea that meeting people in the midst of the complexities of their lives means a “slippery slope” to a change in church teaching. “It is not a slippery slope but a path forward for people who find themselves stuck,” he said. The document calls on pastors to help people who can’t find that way now, he said. Priests must help people understand the teaching of the church and the guidelines of the bishops when it comes to divorce and remarriage, he said. “It can no longer be said, according to Pope Francis, that all those living in an ‘irregular situation’ are living in a state of mortal sin and are deprived of sanctifying grace,” Archbishop Cupich said. 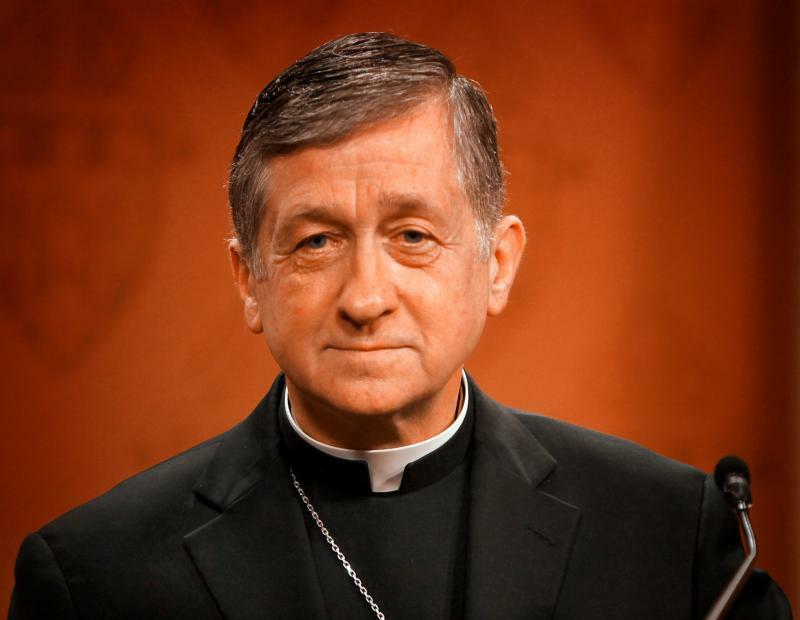 Asked in what specific situations he would allow a divorced and remarried person to receive Communion, Archbishop Cupich refused to rule anyone out. The archbishop said he was impressed with the pope’s crisp, accessible writing style, and the way he draws on varied literary and cultural sources to connect with his audience.